The team at ABM Logistics in Panama have a rich experience in international transport and local services with a high sense of customer service, focusing on providing clients with personalised service which is efficient and cost appropriate. 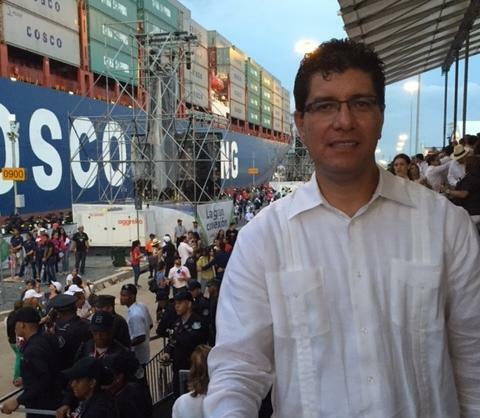 General Manager at ABM Logistics, Alberto Burgos (pictured right) is this month's interviewee. It was in 1998 and I immediately realized my passion for this industry. Our best accomplishment is our fast growth which has been over our forecast. Also, we have had some great project clients that have trusted in us so that has proved an excellent marketing tool for our company. Client satisfaction is our everyday goal and all we do is driving us to this. What are the current trends that you see in transportation as far as Panama is concerned? Our country's economy is slow, with just a little growth, but this drives us to think of different and new sales strategies in order to keep growing. I really like going to our beach house with my family and spending time together. I would like to be a dog as they are loyal and love their master. I would like to meet Carlos Slim and hear all his success stories, his risks taken and how to focus investments. Also, I'd ask him for all the advice he can share with me as an entrepreneur. My life with my grandmother taking care of me. It would be Dubai. I went to the UFO meeting there and I'd like to spend more time, with my wife, in that excellent city. I would like to learn about being strong in taking business and investment risks. Maybe Carlos Slim can someday help me with his expertise on this!